Heating Load : 1 kw . 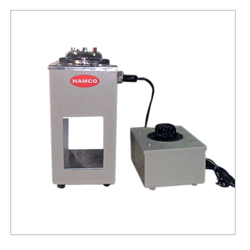 We are offering Redwood Viscometer to our clients. 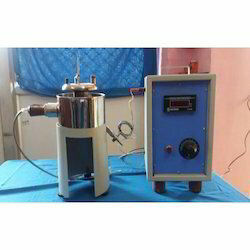 The complete instrument comprises of stove hammer finished shield, stainless steel bath with electrical heating arrangements, suitable to operate on , 220 volts A.C Mains or gas heating arrangements, with tap, silver plated oil cup with precision stain less steel jet, cup cover, ball valve, thermometer clip, stirrer and M. S sheet stand With leveling screws. - Lid with stainless steel heater. Two adaptations of Redwood Viscometers are available.Redwood NO. 1 is suitable for liquids having redwood flow between 20 to 2000 seconds. Redwood NO. 2 are suitable for liquids having redwood flow exceeding 2000 seconds. To furnish the diverse requirements of our clients in the best possible manner we are involved in offering an extensive range of Red Wood Viscometer. Glass Agencies EROSE are manufacturer of Redwood viscometer.